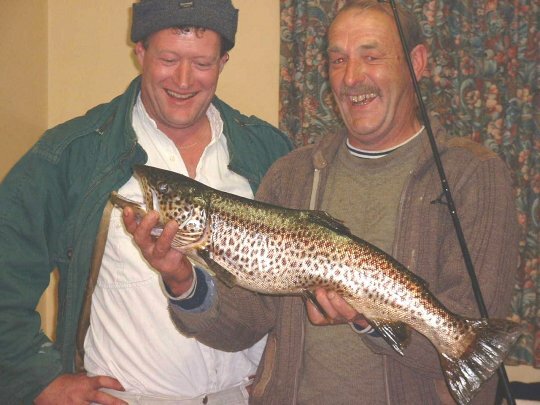 John Joe Langan (Shrule) caught the biggest trout in living memory in the Black River last Monday 2 June 2003. The brown trout was landed with the assistance of another Shrule man , Bert Cawley . The trout weighing 7.32 pounds – caught by John Joe Langan (Right) in the Black River on Monday evening – assisted by companion Bert Cawley (Left) Largest trout in living memory from the river it seems ?